For some time now I have been eyeing other people's potter’s benches while scrolling through Pinterest and Instagram. 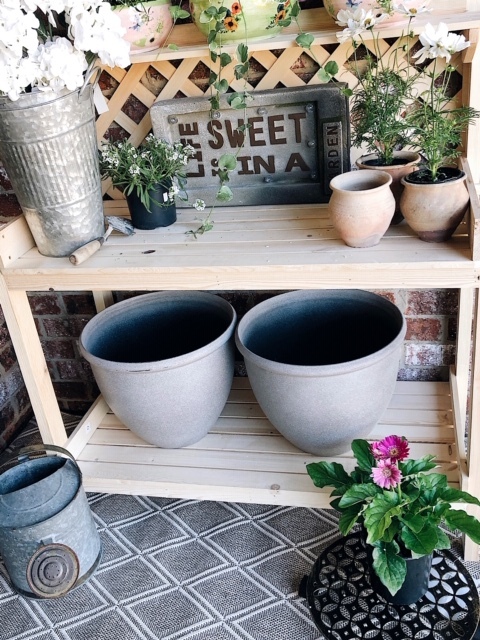 The idea of having a place to set your gardening tools, pots, and soil made sense. I enjoy changing out seasonal potted plants, and a bench would be super practical. Also, they're just good looking! They're so visually appealing in any garden or outdoor area. Who doesn't love to see stacked pots, different wooden signs, and colorful plants decorating these time-worn and tattered benches? So, I finally decided to go for it knowing the perfect place for our potter’s bench. I’ve partnered with Christmas Tree Shops andThat! to share with you three reasons why having a potter’s bench is awesome. Also, I’ve provided a product list at the end of this post for you to easily recreate this look. 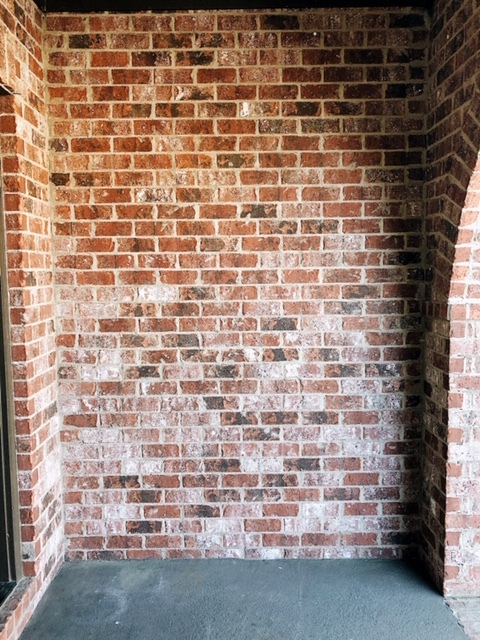 As you can see in the first of two photos above, this space was empty and void of any warmth or decor. It was the perfect space to set up our potters’ bench area. With the potter’s bench as my focal piece, I merely added an outdoor rug, pots, plants (you can see how my son enjoyed helping choose our plants and flowers with me) and other accessories to adorn the bench. It was my inspiration piece, and all other pieces came nicely together around it. This blank canvas was transformed instantly. 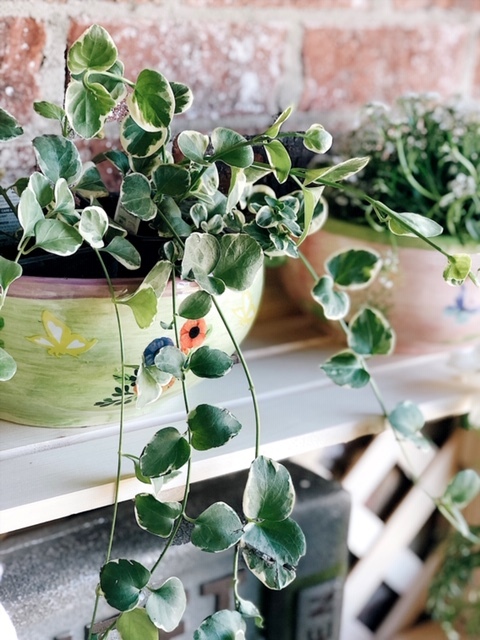 While I do love plants, I don't consider myself a true plant lady (haha)! But I do enjoy changing up our porch plants and flowers season to season, and do my best to keep them alive. 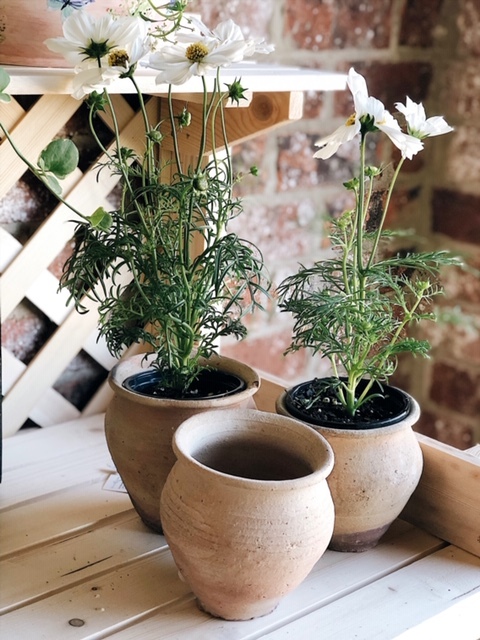 Before this space, I would often sit on our porch floor (making a huge mess) and not have all the pieces I need to make our pots reach their potential. Now, I can easily store the plant food, watering cans, soil, and other things here in one place. Since it has several shelves, it allows those who are more advanced gardeners to have many storage options as well. While I have used it for potting, I also plan to keep plants and flowers on it year round. 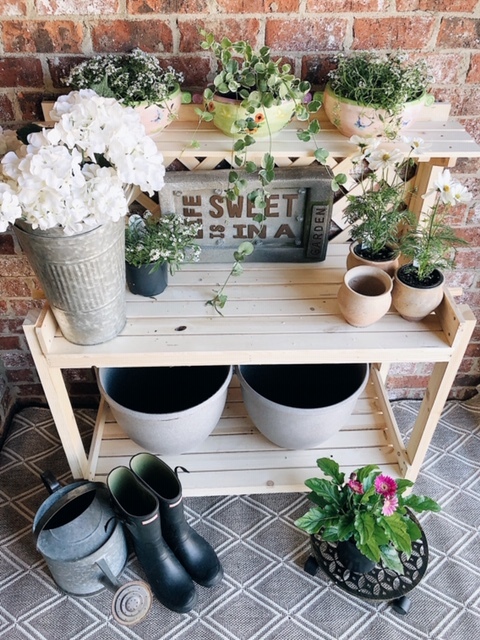 Having it full of pretty, worn pots, a fun garden sign, and other accessories creates a lovely front porch addition. I love how it looks especially for the spring when color is all around. This space makes me smile now when I walk up on our porch. It’s like when you have a workspace in your office; you want it to be organized and well functioning, but it also helps for it to have some lovely touches to get you motivated and feeling at home. I hope these three reasons inspire you to have a potter’s bench too! It’s exciting for me to know that I can find all of these bright and beautiful pieces from Christmas Tree Shops andThat!. I am confident I can maintain this design space in the future because of the great products Christmas Tree Shops andThat! has to offer. You should check them out too! Pinewood Lattice-Back Potter’s Bench found here. Garden Scene Half-Round Planters, Set of 2 found here. 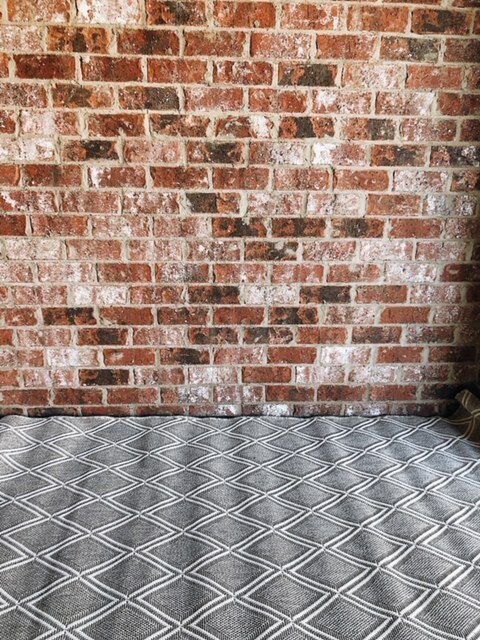 Coastal Living Seascapes™ Beige Diamond All-Weather Area Rug found here. LED “Life is Sweet” Garden Sign found here. Cutout Metal Rolling Plant Caddy found here. The Grainhouse™ 8.5” Gray Stripe Textured Vase (similiar to mine) found here. Galvanized Metal Bucket with Handle (similiar to mine) found here.